2004 was a very good year for music, particularly indie rock with fantastic debuts from The Killers and Franz Ferdinand. Add to that solid efforts from the likes of The Libertines, Wilco, Interpol and Kings of Leon. All great stuff, but sometimes a band comes out of nowhere and grabs you by the balls just when you least expect it, offering something so exciting and out of step with the current scene that you simply have to sit up and take notice. In 2004 that band was Arcade Fire, a seven-strong collective of trendy twenty-somethings based in Montreal. Celebrating its ten year anniversary in 2014, their debut album Funeral remains a landmark record, a sweeping monolith of emotions revolving around life and death. Arcade Fire: About to grab you by the balls. The album kicks off theatrically with Neighborhood #1 (Tunnels), a cinematic opener about a star-crossed teen dreaming of escaping his parents’ house to run away with a lover. With humming organs, rolling strings and a simple but beguiling piano figure, there’s an immediate suggestion of something timeless and epic. ‘‘I’ll dig a tunnel from my window to yours’’ yelps singer Win Butler. ‘‘You climb out the chimney and meet me in the middle, the middle of the town’’. In Neighborhood #2 (Laïka) things get darker as we meet the protagonist’s older brother Alexander, who feels equally alienated from life in middle-class suburbia. Amid the suffocating claustrophobia of domestic violence and nosy neighbors he sets off on ‘‘a great adventure’’ involving a fearsome vampire. To the sound of jagged guitars and lilting French accordions his siblings urge him on. ‘‘Come on Alex, you can do it! Come on Alex, there’s nothing to it!’’. Proceedings are subsequently slowed down with Une Année Sans Lumière, a tender piece of baroque pop that sees the neighborhood engulfed in darkness when all the streetlights burn out. A mournful mix of French and English, it’s a deeply nostalgic number with a sinister edge. ‘‘Hey, your old man should know… if you see a shadow… there’s something there’’. This sense of foreboding has become a fully realised apocalyptic nightmare on the ominous Neighborhood #3 (Power Out), a mesmerising song said to be based on Rick Moody’s 1994 novel The Ice Storm. Fueled by a driving pop beat and jarring guitars, the kids have been granted free reign in the absence of adult supervision. ‘‘Ice has covered up my parents’ hands, don’t have any dreams, don’t have any plans”. As such, the haunting and regretful Neighborhood #4 (7 Kettles) is the calm after the storm. As Butler watches bodies being thrown onto communal fires, there’s merely a weary acceptance of a hopeless future. ‘‘My eyes are covered by the hands of my unborn kids, but my heart keeps watching through the skin of my eyelids’’. And yet notions of love and redemption haven’t been abandoned altogether. “If you still want me please forgive me!’’ begs Butler on Crown of Love, a song that starts out as a waltz of mournful melodrama but ends in an explosive fist-pumping dance segment. Then comes Wake Up, a forcefully beautiful track dripping with humanity. It’s a beast of a song that feels like it was born to be chanted in stadiums, backed by a sweeping choir. ‘‘Our bodies get bigger but our hearts get torn up’’ cries Butler, somehow converting infinite pain and misery into something euphoric. ‘‘People say that your dreams are the only things that save you’’ he breathes on Rebellion (Lies), while the album’s remaining closers are dominated by multi-instrumentalist Régine Chassagne, who takes lead vocals on both Haiti and In the Backseat. The former, with its references to ‘‘unmarked graves’’ and ‘‘soldiers angry yelling’’ is an evocative look at her homeland during the violent dictatorship of president François Duvalier. The latter is Funeral’s subtlest moment, a sweet tribute to self-examination as the world flies by a passenger seat window. ‘‘I don’t have to speak, I can watch the countryside and I can fall asleep’’. Fittingly, the album begins to slip away through a woozy mix of acoustic strumming, tinkling piano keys and sleepy violins. The band named the album Funeral as a tribute to a number of recently departed family members. 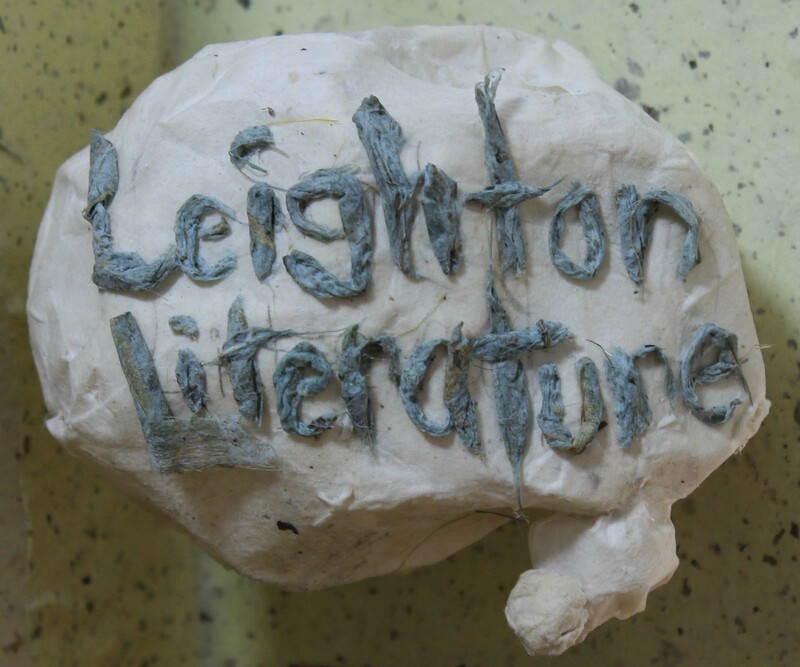 It’s an apt title for a work that openly reflects on life’s difficulties, despairs over missed opportunities, mourns lost love and sheds a tear over broken dreams. But it also takes comfort from the little things and celebrates the idealism of youth, innocence and nostalgia. For me it’s always been a record that champions the idea of holding onto hope, even in the most dire of circumstances. Choice Quote: ‘‘Funerals are generally sombre affairs, but the Canadian indie rockers’ emotionally charged 2004 debut mostly just made us smile’’. – Entertainment Weekly. Choice Lyric: ‘‘Someone told me not to cry. But now that I’m older, my heart’s colder and I can see that it’s a lie”. ­– From Wake Up. Like this? 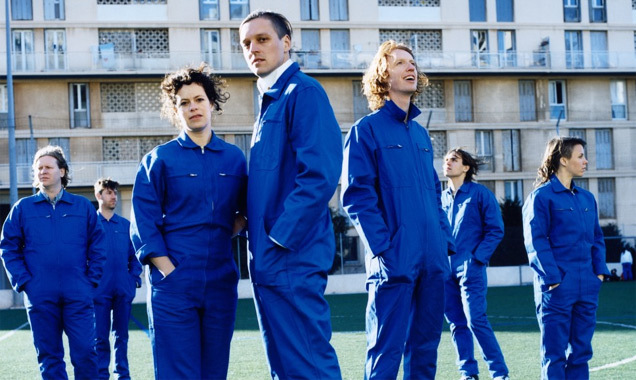 Take a look at Arcade Fire’s second album Neon Bible (2007), which transformed them from cult darlings into one of the biggest bands on the planet. Pulp Friction – a short story from Qatar. This was a really great read. Thanks for sharing!